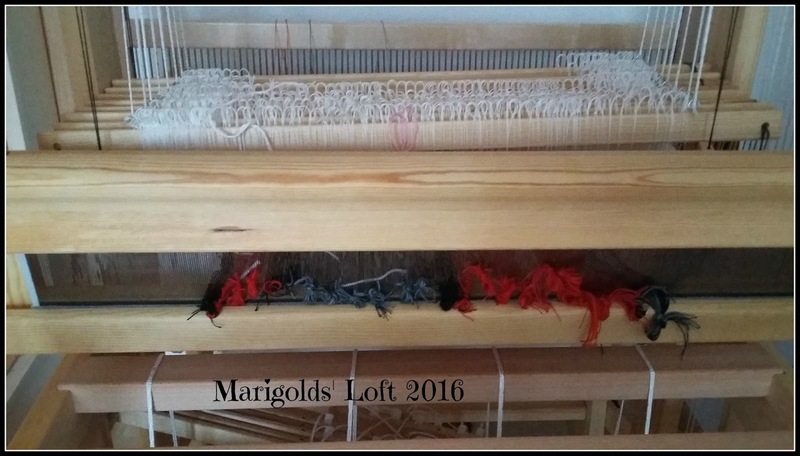 Marigolds' Loft: I must be a little Sock-Mad! I am starting tho think that I may a little sock crazy. Everywhere I look I either see sock projects or sock yarn! 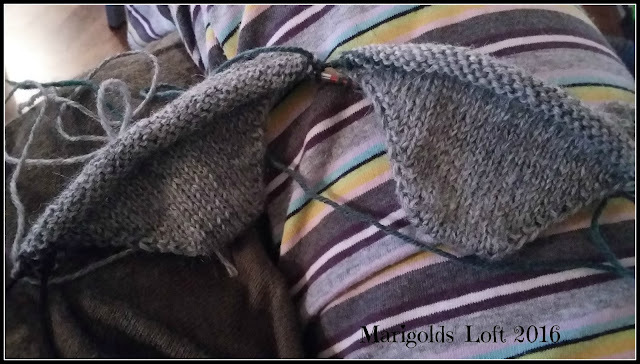 I also have the urge to cast on a new pair as soon as the needles are empty, which would be fine if I didn't already have so many waiting for my attention as well as other projects which I would really like to work on! Above you see a new pair of socks which I cast on on Sunday. He has really big feet though, size 46 (US size 13) so I felt I should cast on now so that I have enough time to finish them off. Over the last week, I have been cleaning out m craft corner and my Fine and Dandy socks fell into my hands again. 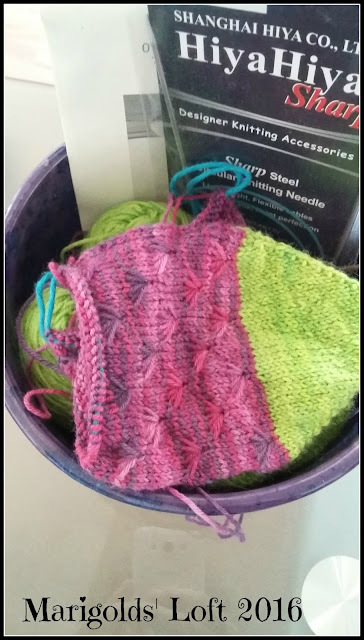 My other soon to be Sock Project is my August pair of Sock-Along socks which I will cast on next Monday. 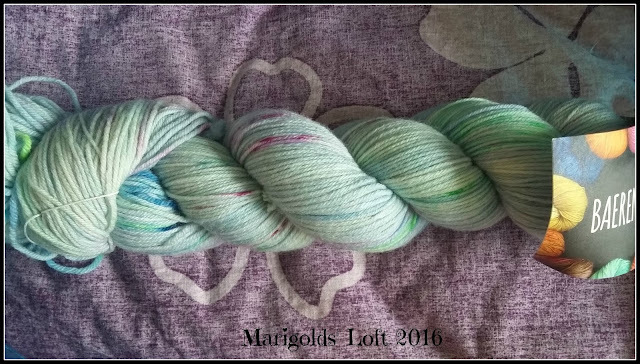 I have decided to knit next month's pair in Baerenwolle and will cake up my yarn shortly. I think this delightful blue yarn will go nicely with the pattern which I will be knitting. Don't forget, if you want to join us in the monthly Sock-Along I would love to have you with us. I managed to finish my July socks in the nick of time and will share them with you on Friday. I have sleighed my reed for my new project and have changed up the heddle pattern slightly removing four threads in the process. I hope to have this project in full swing on the weekend. 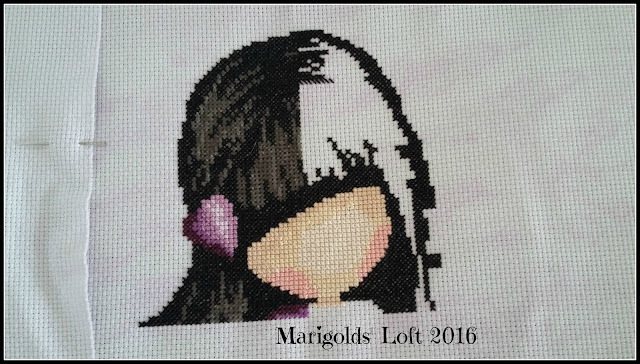 I have also managed to get a little more of my cross stitch project done this week, and look forward to having her hair completed shortly! Reading wise: At the moment I am in-between books right now and will hopefully have started a new one by next week. I will be sharing this post with all of my creative weekly friends, so do hop on over there for some great inspiration.